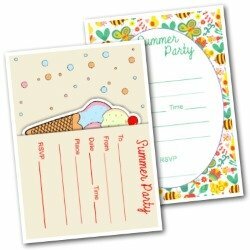 Free Printable Invitations for the Summer! Summer at last! 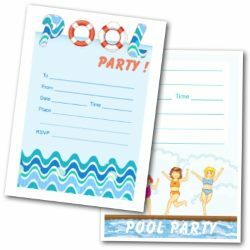 Will you be needing some beach or pool party invitations? 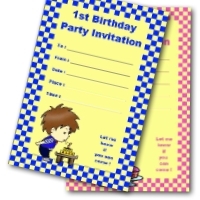 Hold your birthday, picnic or get-together by the water - and use these great invites to tell everyone all about it. Partying by the pool! 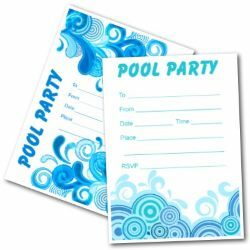 These invites are a great way to tell your guests all about your pool event. Several different designs - just choose your favorite. 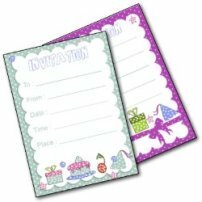 Two fun wave design invites featuring beach balls and flip-flops! 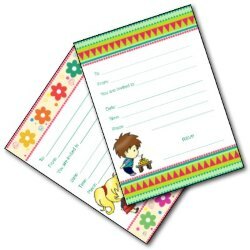 The white background on these make them easy on your printer too! 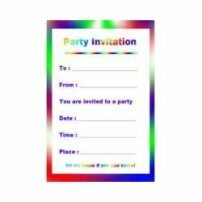 Two bright and fun invitations. 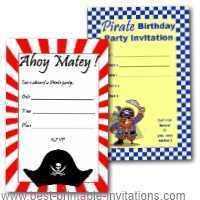 These would make great birthday invites for boys and girls. They print two to a page. Just cut down the middle before use! 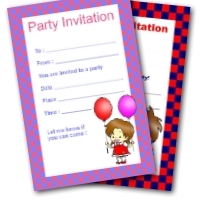 Two really striking invitations that would work well for adult parties, or for older children. Both feature blue, retro wave designs. Off to the beach for your birthday? 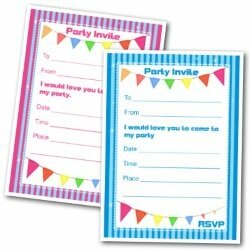 Try these bright and colorful ways to invite your guests. Sure to please kids of all ages. 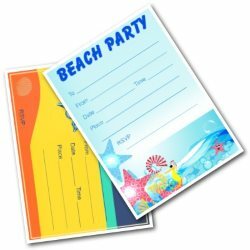 Bright and fun invitations to the beach. 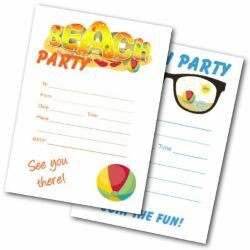 These are very versatile designs that could be used for lots of different beach events. Having a beach hut theme to your party? 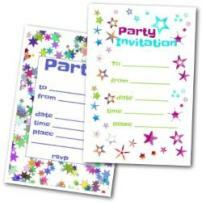 I thought these fabulous striped invites would work really well. The bright pennants make for a striking design. We aren't done yet! Just the sun coming out is cause enough for celebration (especially here in the UK!) 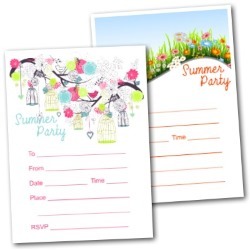 so next up are some fun summer invites. Want to make your celebration go with a swing? 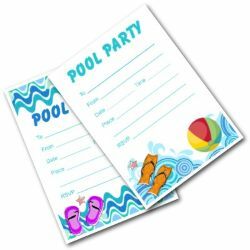 I have been collecting recipes, decoration ideas and games especially for beach and pool parties. I have put them all together in a Pinterest board. Why not head over and take a look. Follow Julie @ FromtheRookery.com's board Pool and Beach Party Ideas on Pinterest. 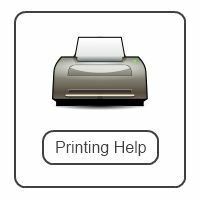 I have also tried to add some tips and ideas to each of my pages, so take a look around and pick up some hints.